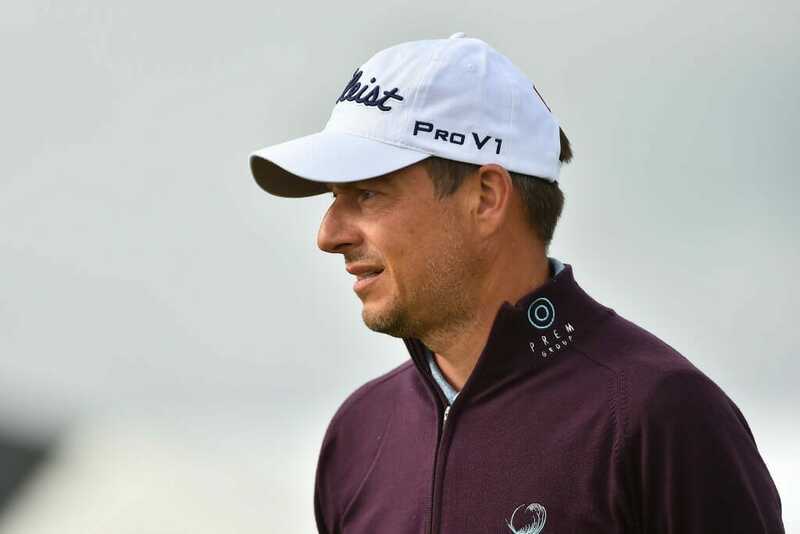 It’s amazing to think that after a year of relentless winning, a golfer could be anything other than overjoyed at the season’s finale but the opposite was true as Simon Thornton returned from the PGA Play-offs at Antalya Golf Club in Turkey empty-handed. Indeed it was a bitter pill to swallow for the Tulfarris Resort professional as he narrowly missed out on lucrative tour starts in the 2019 BMW PGA Championship and The British Masters at Southport by falling two shots short of the qualifying mark. Two under through his opening five holes, Thornton had the required top-three finish within his sights but for a disastrous triple-bogey six to knock the wind from his sails. Two birdies in his next four was testament to his fighting spirit but another bogey on 12 proved to be the final nail in the coffin, Thornton parring home for a level par 71 to finish in a tie for eighth on four-under-par. It was one lapse in concentration on the final day that put an end to his charge and cost the Newcastle native dearly. In a year where Thornton picked up multiple wins including the Irish PGA Championship at Galway Bay on his way to the 2018 Irish Region Order of Merit title, it’s hard not to think he deserved more. However such is golf, things worked out differently and it left Thornton to reflect on an obvious disappointment with ‘ifs’ and ‘buts’ still running through his mind. “The first two days I felt I played OK, I didn’t really threaten with too many birdie chances and the score I was on at -4 was probably the worst I could have been on really,” he said. “I knew my game was in good shape and I was in a good position going into the final day. Little did he realise what was to come on the long par-3 sixth. “I stood on the 6th tee with an in-between yardage for me of 208 yards, I wasn’t quite sure if it was a four iron or a little hold up rescue,” he recalled. “I decided on the rescue and was still thinking whether I had the right club when I pulled the trigger, which I would never do. Rattled but resolute, Thornton went to the well to recover and years of experience in similarly intense, pressurised situations allowed him to do just that. “I had a walk to the next tee box and composed myself,” he admitted. “I knew I was still only one over and just tried to get back into my routine again. There were no scoreboards on the course so I didn’t know where I stood so it was a case of just keep going. As adrenaline washed away from his body, the stark reality of the result soon hit home as the normally composed campaigner assessed the damage. “When I walked off the back of 18 I was gutted to be honest, I still am now talking to you, it’s still quite raw,” admitted Thornton. And so he might feel hard done by. In years gone by, the Irish Region Order of Merit winner would’ve been assured potentially career changing starts amongst the European Tour’s elite but even spots in the Irish Open have been done away with since the introduction of the Rolex Series. Instead it’s back to the drawing board for Thornton who was finding it hard to dig out the positives of what’s been an outstanding 2018 for the Newcastle talent. “Overall I know it’s been a good season but to finish it like this, it certainly doesn’t feel like that right now,” he confessed. “I certainly feel that for the golf I played this season on the region, that I haven’t been rewarded for what I achieved. I do think it’s wrong that the winner of the Irish Order of Merit shouldn’t get some sort of Tour qualification into the Irish Open or Wentworth or something like that. To get nothing to mark the achievement is not right but it’s been like that for years. “This is the second time I won the Order of Merit and I remember back in 2005 when I won, Brendan McGovern coming over and tapping me on the shoulder and congratulating me on winning, he asked did I collect my prize. But that’s where he’s wrong. When the dust has settled on 2018, Simon Thornton should look back on it with great pride. Sure, his serial winning hasn’t been rewarded with some high-profile starts next year but this a man who was forced to retire from the European Tour due to a foot injury that plagued him for years. Maybe it’s something in the water at Tulfarris but he’s showed no ill-effects of his fairway exploits this term and at long last, the name Thornton is back where it belongs atop leaderboards across the country. Even towards the end of our interview, he was finding the positives, though maybe through gritted teeth. “18 months ago I wasn’t sure if I could play golf again at all so when I get over what happened in Turkey, yeah, 2018 will be looked on as a hugely positive year,” said Thornton. If that doesn’t worry the rest of the region for 2019, nothing will. Meanwhile, from an emerald perspective, Thornton wasn’t alone in seeking European Tour starts in Turkey but he fared best of all in a disappointing week for Ireland’s competing trio. Michael McGeady was next best after he rallied home with a final round 66 to finish in a tie for 10th while David Higgins closed with a 72 to finish 16th. At the top in Turkey there was a serious battle finishing in an English 1-2-3 with David Dixon and Matt Cort claiming spots in the BMW PGA Championship and the British Masters as well as spots on the GB&I PGA Cup team. Robert Coles beat Paul O’Hara in a sudden-death playoff for third place.